Growing up I was pretty much the opposite of what I am now especially when it came to makeup. My go-to makeup usually consisted of Chapstick. However, once I hit middle school I started to take more of an interest in makeup. Some of my favorite brands included wet n’ wild and Bonne Bell. Since that time, I have added more items and techniques. Find out what I have learned below. Until recently I was more of a lip balm and lip gloss girl. However, through my blog, I have been to able try different lipsticks and to find which shades work for my skin tone. When it comes to lipstick brands I usually go towards Avon & Maybelline. I am still learning when it comes to concealers, but thanks to watching and reading of blogs of makeup pros (i.e. Makeup Artists, Beauty Bloggers and more.) I am getting better. There is still room for improvements and luckily there are brands like Fenty Beauty with a wider range of shades. It can be a little overwhelming with the latest makeup trends. However, I realize there are just some trends that I know aren’t for me. Also, I know there are some products that will not work for me due to my sensitive skin. 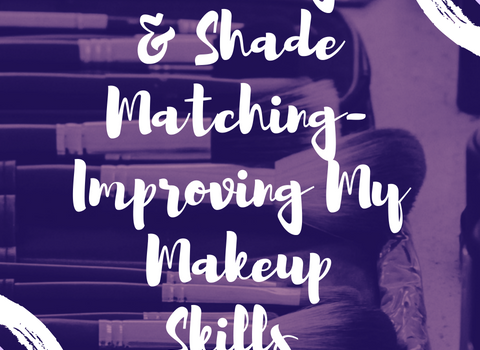 I wouldn’t call myself a makeup pro, but I do have a better knowledge for occasions when I am looking to switch up my usual look. 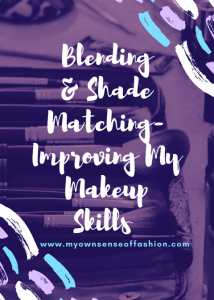 Are you a makeup fan? What are some of your favorite brands? Let us know in the comments.